looking for trouble. Lady Grantham’s is behind her and now it’s time for Amelia to keep her promise to her dying mother: marry a title and leave her wild days behind. is hiding a desperate secret that could stop Amelia from pleasing her parents or finding happiness with Nate. As a weeklong house party threatens to derail her hard-won future, Amelia must decide: fight against disaster or act like the lady she’s promised to become? Well, I live in Brooklyn with my wonderful husband, who’s a musician and obsessed with Formula One racing, and my daughter. I work in theatre as a costume designer, although more in the administrative side than the design side these days. For several years I’ve worked for a long-run Broadway musical, overseeing their costumes. Working full-time, raising a daughter, and writing doesn’t leave much time for anything else, so I’m pretty dull on paper. What’s my hobby? Writing. What do I do with my free time? Write. You get the picture! What is your favorite indulgence (food, spa treatment, etc.)? Several years ago, I had to give up coffee, so that’s out. All that working, writing, and parenting means the club scene is out, I’ve battled insomnia for several years, so napping is out. I’m on a perpetual diet, so that’s out, too. All I have left is wine, and I’ll cling to that till the end of my days! 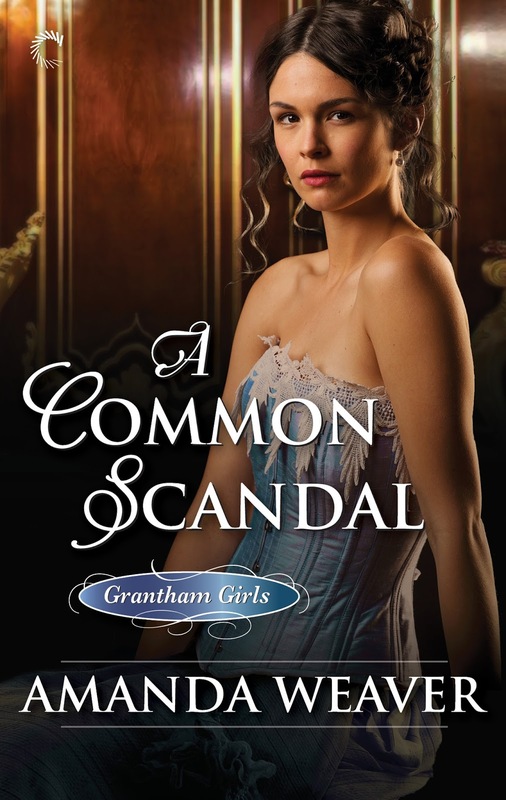 What was the inspiration for Grantham Girls? As a costume designer, I’ve always loved the fashion of the era, and as a history buff, the Gilded Age has always held a fascination for me, particularly the “dollar marriages” between the new manufacturing millionaires and old impoverished European nobility. This whole series more or less revolves around that world, as does the next one, which I’ve just started outlining. What do you like most about your heroine, Amelia Wheeler? I’ve had more fun writing Amelia than any other character I’ve ever created. She’s nothing like me, so brash and fearless. She frequently lets her passion get ahead of her common sense, with mixed results, but always with the best of intentions. It was so enjoyable writing such an unconventional heroine who would do and say things I never would. I’m finishing up a contemporary romance set in the world of Formula One racing (note the in-house expert I have at home! ), which will hopefully be the first of a three-book series. And as I mentioned above, I’ve started writing another historical series set in the Gilded Age, tentatively titled The Fortune Hunters. In addition, I’ve always got half a dozen stand-alone book ideas fighting for my time and attention. I need to clone myself. Amanda Weaver has loved romance since she read that very first Kathleen E. Woodiwiss novel at fifteen. After a long detour into a career as a costume designer in theatre, she’s found her way back to romance, this time as a writer. The word hung between them for a moment, rife with meaning. He might have only meant she was all grown-up and out in Society, except his eyes made a lightning- fast perusal of her body as he said it, so fast, he was likely unaware he’d done it. In a rush, it broke over her that Natty was aware of her in the same way she was aware of him. Not as an old playmate from his childhood. As a woman. He was as affected as she was, even if he was spending his evening paying court to Julia Harrow. 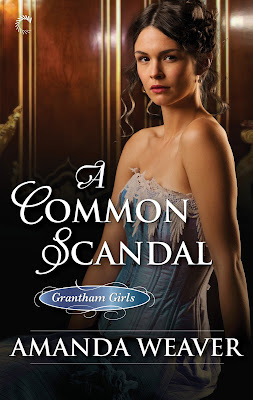 Thank you for hosting Amanda and A COMMON SCANDAL!